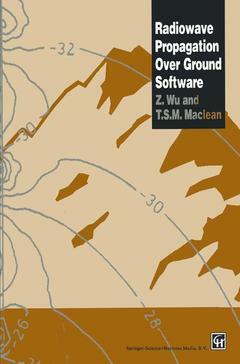 Radiowave propagation over ground software (3.5 disk included / Bound) Maclean J. Add to cart the livre of Maclean J. This is the first PC based package to allow engineers to estimate accurately radio field strengths over land and sea within specified wavelengths ranges. Based on the book Radiowave Propagation over Ground, this software has been developed as a practical tool to deal with irregular heights and both homogenous and inhomogenous ground, using either a planar or spherical model of the earth. Aimed at engineers and researchers involved in telecommunications, broadcasting, radar and antennas, this is a user-friendly package that does not require knowledge of advanced mathematics in order to use it. Worked examples are employed to build up practical experience and a glossary of terms is included. A full theoretical treatment of the subject can be found in the author's orginal book. Introduction. Contents of manual and allowed input values. Running of software. Quick result for Part 1. Full results for Part 1. Full results for Part 2. Messages. Glossary of terms.